This is just a small selection of Copper wedding invitations to give you some ideas. More examples will be added. The majority of our wedding invitations on the main page are available with ribbon to match your colour scheme. Gold and silver step aside, there’s a new metallic taking over. Copper is a unique wedding colour that works well with teal and many other colours. Copper is extremely elegant and can highlight any wedding including vintage, industrial, modern, glam, rustic and many others. 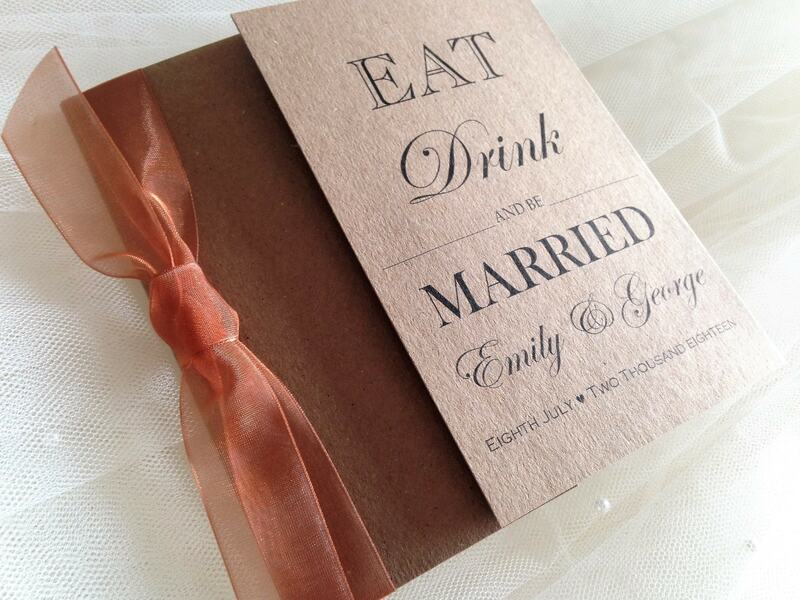 We stock copper ribbon in satin and organza. We can print your invitations in a matt copper typeface if you wish. 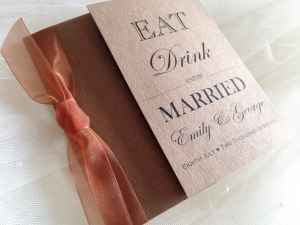 Order your copper wedding invitations today.